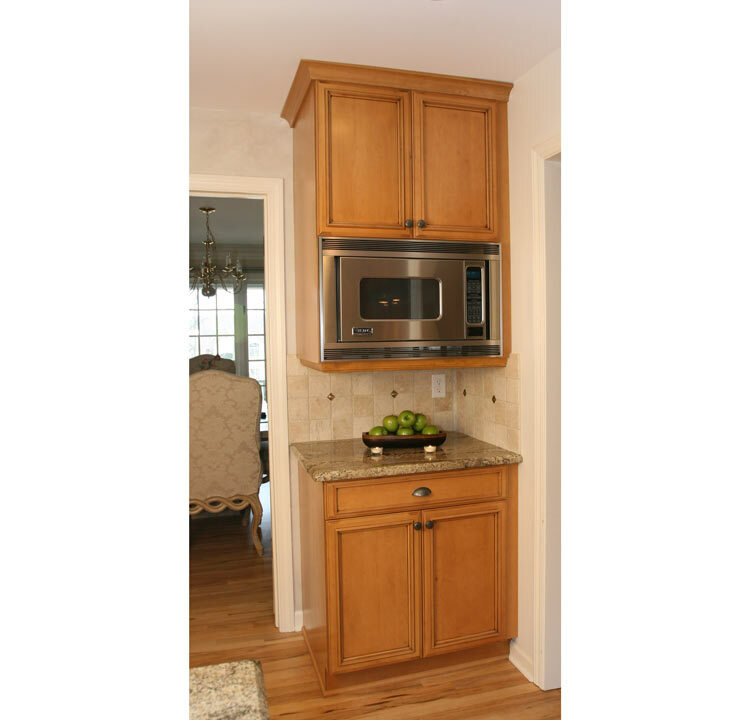 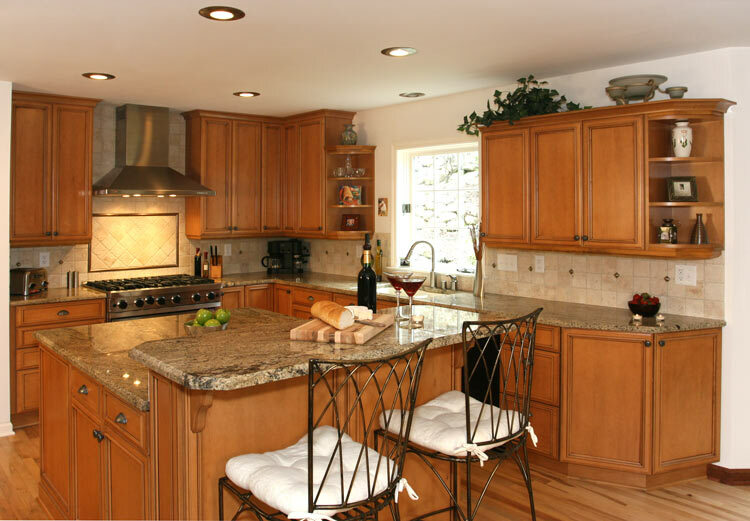 Delafield Kitchen, …..This beautiful kitchen features Maple Cabinets with a soft Sable stain finish, complemented by Giallo Veneziano granite countertops. 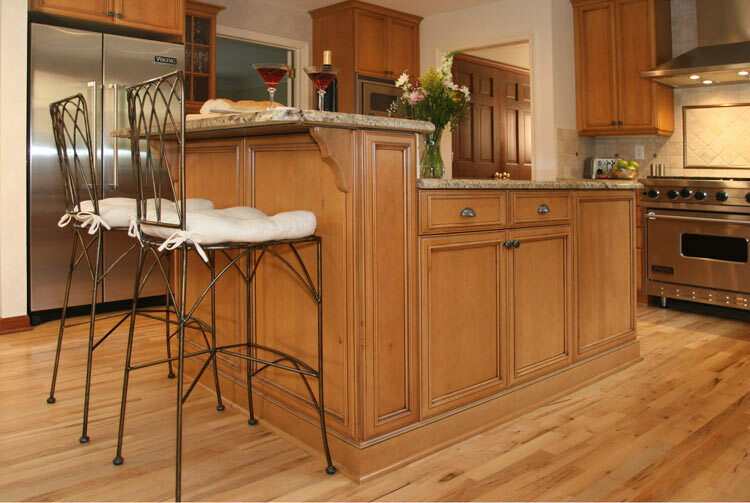 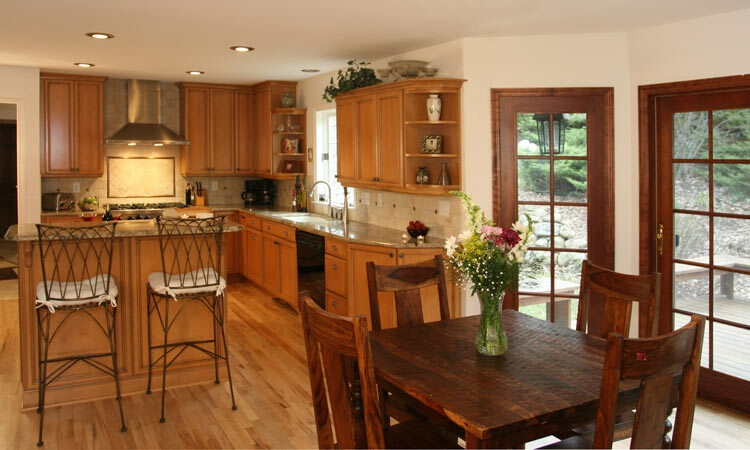 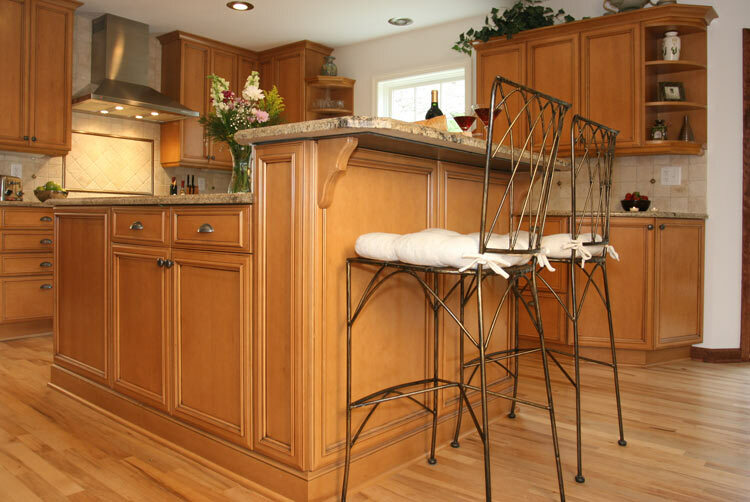 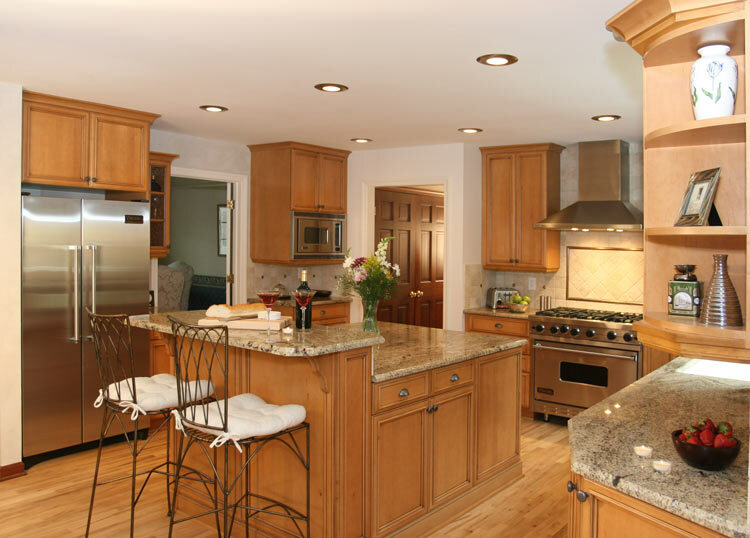 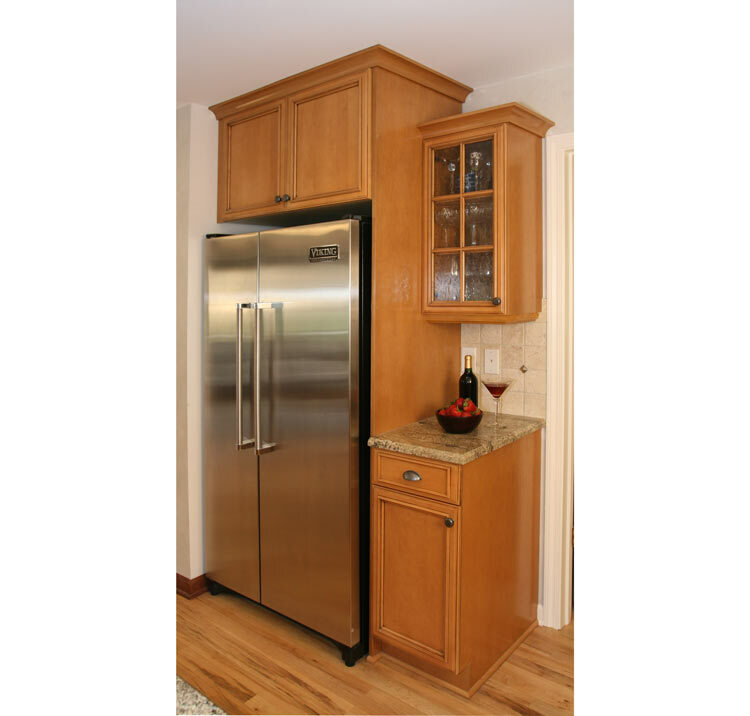 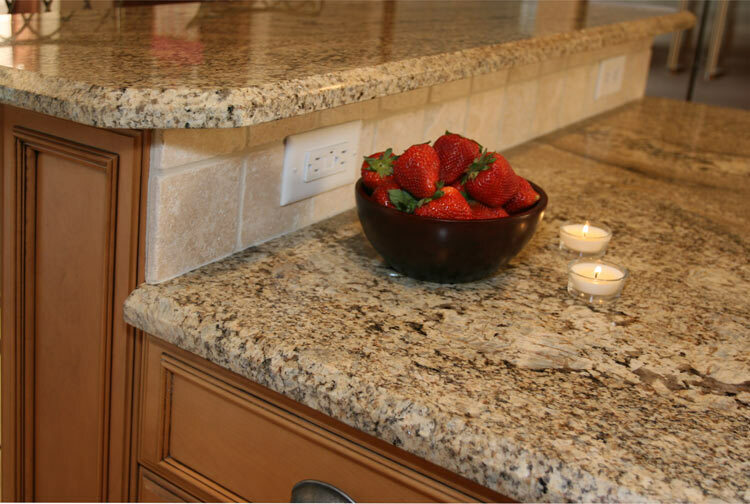 A large island centered in the kitchen provided abundant work space for the homeowner. 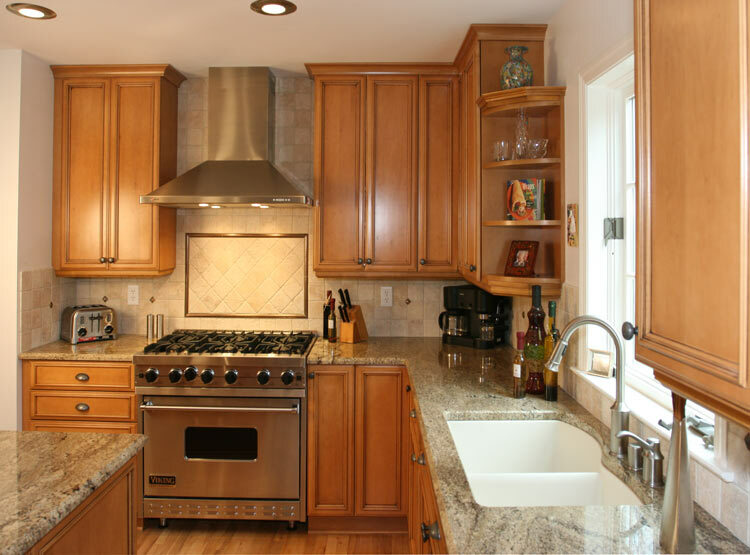 Viking appliances were added, making this kitchen any cook would love.